For the novel by Paul Cornell, see British Summertime (novel). For the music festival, see British Summer Time (concerts). This time zone is only used for DST. For the rest of the year, GMT is used. BST begins at 01:00 GMT on the last Sunday of March and ends at 01:00 GMT (02:00 BST) on the last Sunday of October. Since 22 October 1995, the starting and finishing times of daylight saving time across the European Union have been aligned – for instance Central European Summer Time begins and ends on the same Sundays at exactly the same time (that is, 02:00 CET, which is 01:00 GMT). Between 1972 and 1995, the BST period was defined as "beginning at two o'clock, Greenwich mean time, in the morning of the day after the third Saturday in March or, if that day is Easter Day, the day after the second Saturday in March, and ending at two o'clock, Greenwich mean time, in the morning of the day after the fourth Saturday in October." British Summer Time was first established by the Summer Time Act 1916, after a campaign by builder William Willett. His original proposal was to move the clocks forward by 80 minutes, in 20-minute weekly steps on Sundays in April and by the reverse procedure in September. In 1916, BST began on 21 May and ended on 1 October. Willett never got to see his idea implemented, having died in early 1915. In the summers of 1941 to 1945, during the Second World War, Britain was two hours ahead of GMT and operating on British Double Summer Time (BDST). To bring this about, the clocks were not put back by an hour at the end of summer in 1940; in subsequent years, clocks continued to be advanced by one hour each spring and put back by an hour each autumn until July 1945. The clocks were brought back in line with GMT at the end of summer in 1947. An inquiry during the winter of 1959–60, in which 180 national organisations were consulted, revealed a slight preference for a change to all-year GMT+1, but instead the length of summer time was extended as a trial. A further inquiry during 1966–1967 led the government of Harold Wilson to introduce the British Standard Time experiment, with Britain remaining on GMT+1 throughout the year. This took place between 27 October 1968 and 31 October 1971, when there was a reversion to the previous arrangement. Analysis of accident data for the first two years of the experiment, published by HMSO in October 1970, indicated that while there had been an increase in casualties in the morning, there had been a substantially greater decrease in casualties in the evening, with a total of around 2,500 fewer people killed and seriously injured during the first two winters of the experiment, at a time when about 1,000 people a day were killed or injured on the roads. However, the period coincided with the introduction of drink-driving legislation; the estimates were later modified downwards in 1989. The trial was the subject of a House of Commons debate on 2 December 1970 when, on a free vote, the House of Commons voted by 366 to 81 votes to end the experiment. Campaigners, including the Royal Society for the Prevention of Accidents (RoSPA) and environmental campaigners 10:10, have made recommendations that British Summer Time be maintained during the winter months, and that a "double summertime" be applied to the current British Summer Time period, putting the UK one hour ahead of GMT during winter, and two hours ahead during summer. This proposal is referred to as "Single/Double Summer Time" (SDST), and would effectively mean the UK adopting the same time zone as European countries such as France, Germany, and mainland Spain (Central European Time and Central European Summer Time). RoSPA has suggested that this would reduce the number of accidents over this period as a result of the lighter evenings. RoSPA have called for the 1968–71 trial to be repeated with modern evaluation methods. 10:10's "Lighter Later" campaign, in addition to publicising the risk reductions described above, also highlights the potential energy benefits of Single/Double Summer Time, arguing that the change could "save almost 500,000 tonnes of CO2 each year, equivalent to taking 185,000 cars off the road permanently". These proposals are opposed by some farmers and other outdoor workers and by many residents of Scotland and Northern Ireland,  as it would mean that in northern Britain and Northern Ireland the winter sunrise would not occur until 10:00 or even later. However, in March 2010, the National Farmers' Union indicated that it was not against Single/Double Summer Time, with many farmers expressing a preference for the change. Other opponents of daylight saving measures say that darker mornings, especially in Scotland, could affect children going to school and people travelling to work. A YouGov poll taken in March 2015 suggested that 40% of the people surveyed would prefer an end to the practise of changing the clocks, while only 33% wanted to keep it (the rest were indifferent or not sure). The current arrangement is now defined by the Summer Time Order 2002 which defines BST as "... the period beginning at one o'clock, Greenwich mean time, in the morning of the last Sunday in March and ending at one o'clock, Greenwich mean time, in the morning of the last Sunday in October." This period was stipulated by a directive (2000/84/EC) of the European Parliament which required European countries to implement a common summer time (as originally introduced in 1997, in Directive 97/44/EC). In part because of Britain's longitudinal length, debate emerges most years over the applicability of BST, and the issue is the subject of parliamentary debate. In 2004, English MP Nigel Beard tabled a Private Member's Bill in the House of Commons proposing that England and Wales should be able to determine their own time independently of Scotland and Northern Ireland. In 2005, Lord Tanlaw introduced the Lighter Evenings (Experiment) Bill into the House of Lords, which would advance winter and summer time by one hour for a three-year trial period at the discretion of "devolved bodies", allowing Scotland and Northern Ireland the option not to take part. The proposal was opposed by the government. The bill received its second reading on 24 March 2006; however, it did not pass into law. The Local Government Association has also called for such a trial. The Daylight Saving Bill 2010–12, a private member's bill by Conservative backbench MP Rebecca Harris, would have required the government to conduct an analysis of the potential costs and benefits of advancing time by one hour for all, or part of, the year. If such an analysis were to find that a clock change would benefit the UK, the bill required that the government should then initiate a trial clock change to determine the full effects. In 2010, Prime Minister David Cameron stated he would seriously consider proposals in the bill. The bill was only likely to be passed with government support. Despite initial opposition in Scotland to the move, Cameron stated his preference was for the change to apply across the United Kingdom, stating "We are a United Kingdom. I want us to have a united time zone." A survey in late October 2010 of about 3,000 people for British energy firm npower suggested that a narrow majority of Scots may be in favour of this change, though the Scottish Government remained opposed. The bill was debated again in Parliament in November 2011 and sent to committee in December 2011. In January 2012, the bill was again debated on the floor of the House of Commons where it was filibustered out of Parliament by opponents. Angus MacNeil, MP for Na h-Eileanan an Iar, argued that it would adversely affect the population of Northern Scotland, while Jacob Rees-Mogg, MP for North East Somerset, tried to introduce an amendment to give Somerset its own time zone, 15 minutes behind London, in order to highlight what he saw as the absurdities of the bill. With all its allocated time used up, the bill could proceed no further through Parliament. The commission of the European Union has after investigating the opinion among people, in 2018 proposed to abandon summer time in the European Union. The legislative bodies, that is the council and the parliament have supported this, although with a slower timetable than proposed. The time of introduction is 2021. The UK may have left the EU by 2021, so might not be bound by this, but might have to consider following it. See Summer Time in Europe#Future. ^ Text of the Summer Time Act 1972 as in force today (including any amendments) within the United Kingdom, from legislation.gov.uk. ^ Text of the Interpretation Act 1978 as in force today (including any amendments) within the United Kingdom, from legislation.gov.uk. ^ "Summer Time Dates". National Physical Laboratory. Retrieved 2 April 2013. ^ "Summer Time Act 1972 ss enacted". Retrieved 2018-03-20. ^ "When Do the Clocks Change? ", Gov.uk. Retrieved 21 October 2014. ^ Hollingshead, Iain (June 2006). "Whatever happened to Double Summer Time?". The Guardian. ^ Cockburn, Jay (26 March 2016). "The time when the clocks changed by more than an hour". BBC Newsbeat. Retrieved 1 February 2019. ^ Keep, Matthew (12 March 2013). "Reported Road Accident Statistics". Social and General Statistics Section, House of Commons Library. p. 4. Retrieved 6 September 2013. ^ "Press Release October 22, 2008 It's Time for a Change to Save Lives and Reduce Injuries". RoSPA Press Office. Archived from the original on 17 March 2009. "British Summer Time (BST)". NMM – National Maritime Museum. Archived from the original on 2 August 2009. ^ Jha, Alok (29 March 2010). "Lighter Later Guardian Article". The Guardian. London. ^ "'Time for change' call as clocks alter in UK". BBC. 30 October 2010. ^ "Should We Change the Clocks?". National Farmers Union. 18 March 2010. Archived from the original on 30 March 2010. Retrieved 23 September 2015. 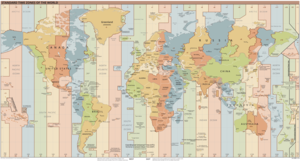 ^ "Is it time to stop changing clocks for daylight saving time?". 28 March 2015. Retrieved 12 April 2019. ^ "Statutory Instrument 2002 No. 262 The Summer Time Order 2002". HMSO. 20 February 2002. ISBN 0-11-039331-7. ^ European Parliament, Council (19 January 2001). "Directive 2000/84/EC of the European Parliament and of the Council of 19 January 2001 on summer-time arrangements". EUR-Lex. Retrieved 30 September 2012. ^ "Lighter Evenings (Experiment) Bill [HL]". Publications.parliament.uk. Retrieved 31 October 2010. ^ "Lighter Evenings (Experiment) Bill". ^ "Clock change 'would save lives'". BBC News. 28 October 2006. ^ Kirkup, James (12 August 2010). "Give me sunshine: David Cameron considers double summertime". London: Telegraph. Retrieved 31 October 2010. ^ "Scots back 'keeping' summer time". BBC News. 29 October 2010. Retrieved 31 October 2010. ^ "Bill stages — Daylight Saving Bill 2010–12". ^ "Conservative backbenchers halt effort to move clocks forward". 21 January 2012. ^ "House of Commons Hansard Debate for 20 Jan 2012 (pt 0001)". ^ Jacob Rees-Mogg Proposes Somerset Time Zone. ^ "Daylight Saving Bill 2010–12". "Britain may reconsider a switch in time zone". Philly.com. Associated Press. 30 October 2011. Archived from the original on 1 November 2011. Retrieved 31 October 2011.